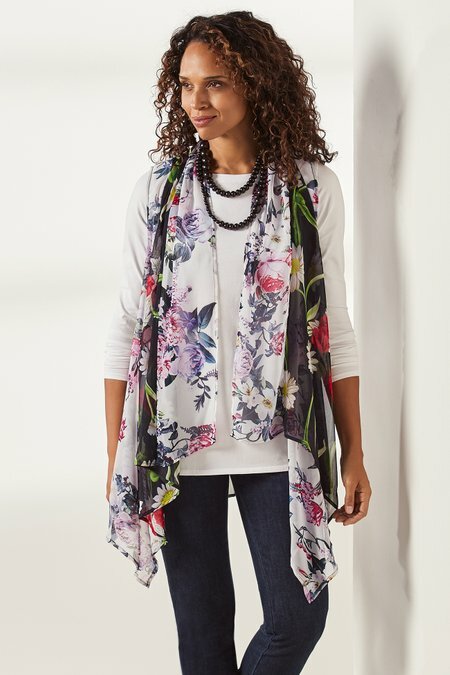 Floating along with a silky touch and a scarf-like drape, this dreamy topper blends colorful floral prints on black and white. With an open front and asymmetrical hem, use it to layer springtime on a wide array of looks. Misses 31" long.